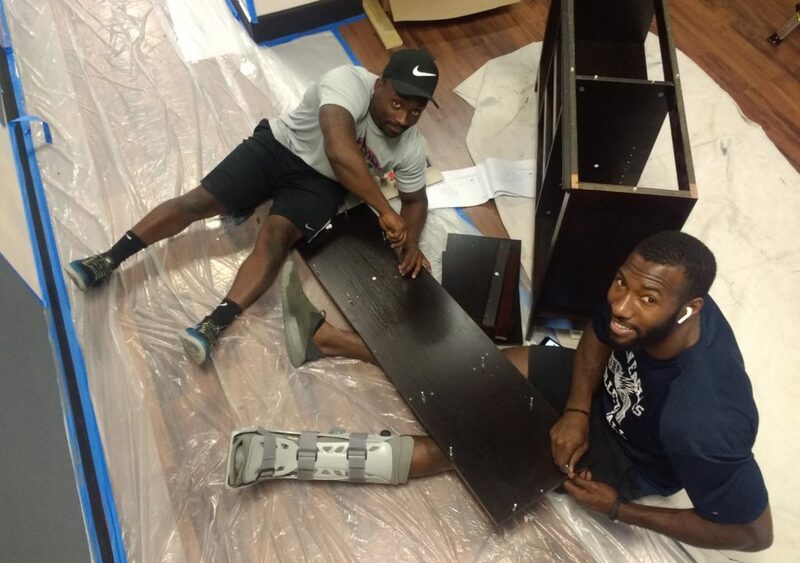 Patric Young, who led UF to the NCAA Final Four in 2014, is one of the partners bringing America’s Escape Game to a long-vacant space on West University Avenue. Five local mural artists are adding to the experience. Imagine being locked in a room with your closest friends and having exactly one hour to solve clues that could save the world from annihilation. That’s the idea behind escape rooms, one of the hottest entertainment/adventure trends sweeping the nation. 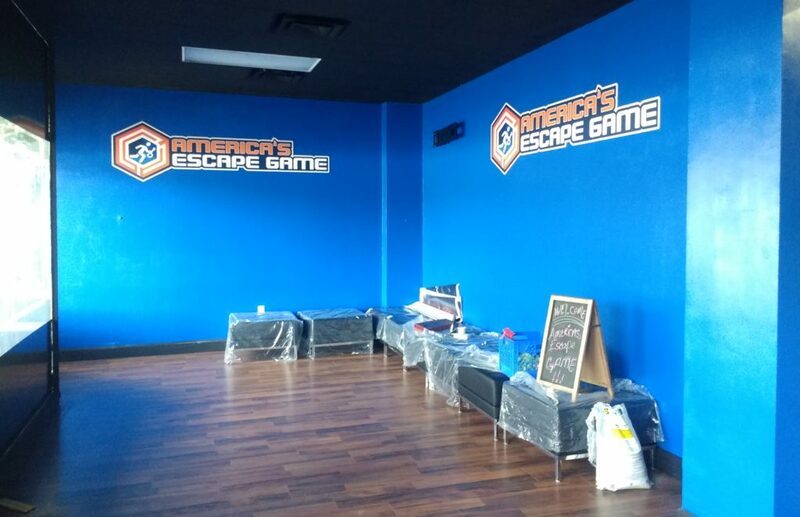 In two weeks, that craze will finally arrive in downtown Gainesville with the opening of America’s Escape Game at 239 W. University Ave., next door to the Florida Theater. “Our goal here is to be the No. 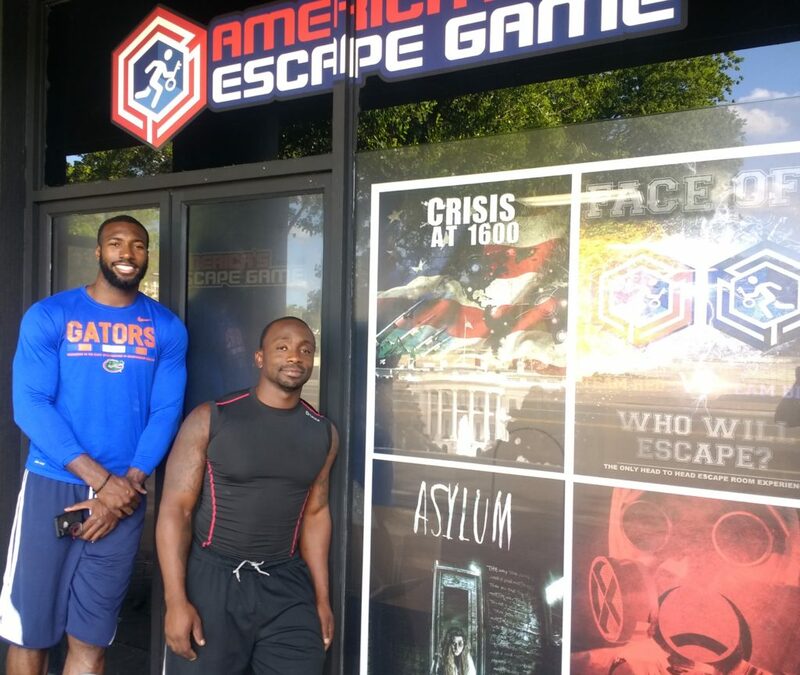 1 entertainment experience you can find in Gainesville,” said Patric Young, the former Gator basketball player who is opening Gainesville’s America’s Escape Game with business partner and good friend Corey Gamble. Young knows a thing or two about entertaining Gainesville audiences. 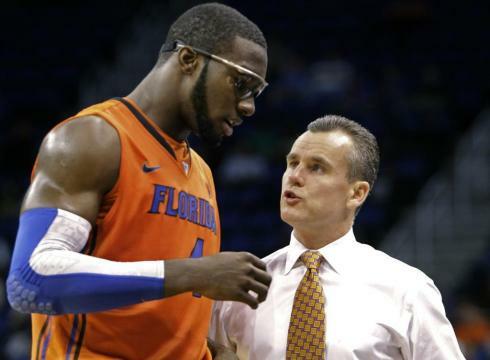 He played center at UF for four seasons, including 2013-14 when the Gators’ basketball team finished a perfect 18-0 in the Southeastern Conference and reached the Final Four before falling to eventual national champion UConn. Young said that Gainesville’s America’s Escape Game is scheduled to open the week of May 22. There are already America’s Escape Game locations in Orlando, Broward County, Tampa and Oxford, Miss. The downtown Gainesville escape room occupies more than 3,200 square feet in what was once part of the old Wise’s Drug Store and, more recently, Mars Pub & Arcade. Inside, Young and Gamble and their team of designers and special-effects experts have created four themed escape rooms. Each room offers a unique puzzle-solving experience. In Asylum, players have an hour to unlock the secrets of a mad doctor’s horrifying deeds. In Crisis at 1600, players must beat the clock inside the White House to save the President — and America. In Pandemic, players search a laboratory to find a cure for the Red Death that is dooming the world. Finally, in Face-Off, two four-person teams battle each other for survival in a 45-minute race against time. Young experienced his first escape room three years ago while visiting friends in Texas. “I was hooked immediately!” he said. Then, while playing pro basketball in Greece, he and his American teammates and their girlfriends often visited some of the more than 230 escape rooms scattered throughout Athens. Wait! There are 230 escape rooms in Greece’s capital city? On a visit to Greece to see Young play basketball, Gamble joined the group on an escape-room trip. “He’s like, ‘Is there anything like this in Gainesville? Because this is chill,'” Young said. 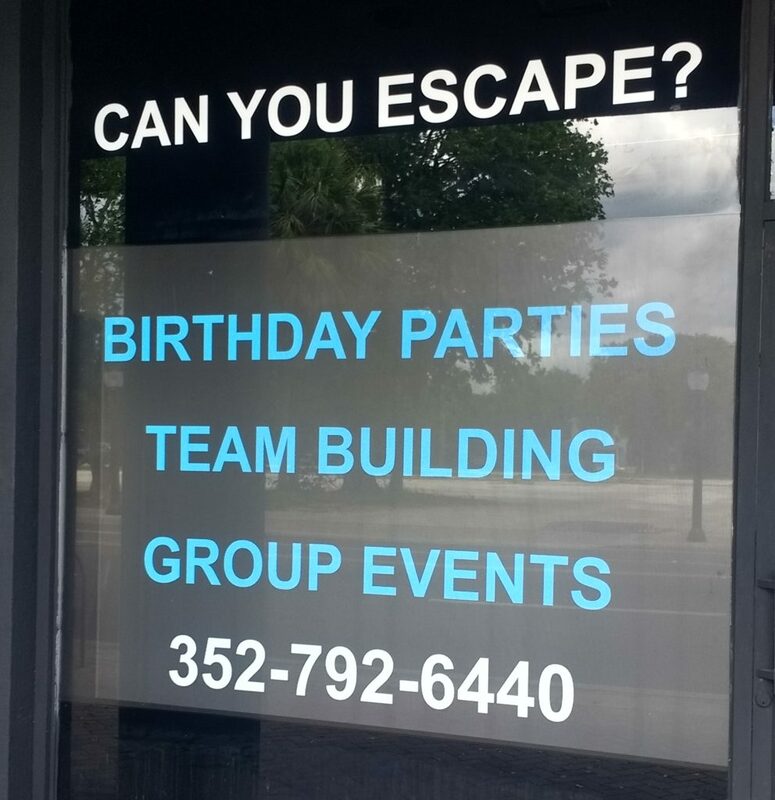 After some brainstorming, Young and Gamble returned to Gainesville and found a prime downtown location for their escape room. Craig Cinque, whose Cinque Holdings own several downtown buildings, gave the partners a deal on leasing the space. “We want to thank him for allowing us to use the building,” said Gamble, a Gainesville High School grad who works for Cinque’s Sunshine State RVs. When researching companies that offer escape-room franchises, the partners were most impressed with America’s Escape Game, based in Orlando. 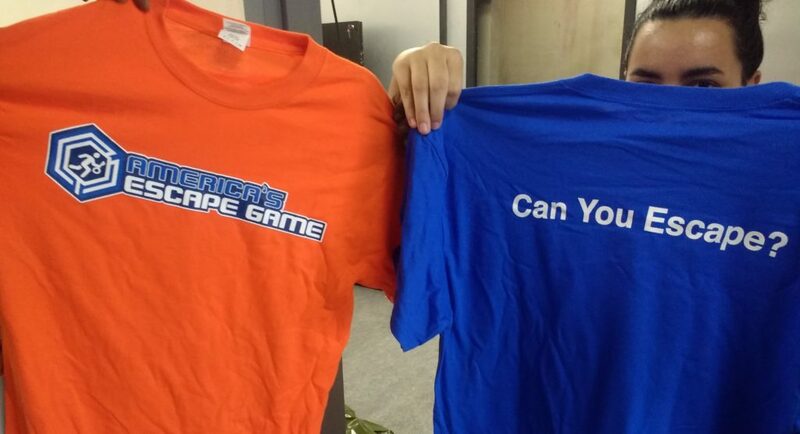 Earlier this week, Gainesville’s America’s Escape Game was quickly coming together. Each themed escape room already had props, gadgets and puzzles in place, installed by Andy Nicholls, owner of Orlando Special Effects, and his team. He said the rooms are deceptively challenging. “I have learned that an hour — which may appear as a long time — is not a long time when you’re under pressure to get out and you’re busy doing tasks,” Nicholls said. Clarissa Frison, a corporate trainer for America’s Escape Game, said customers can expect an immersive experience. “When you walk into it, it’s almost going to feel like a movie set,” she said. “You’re the actor in the movie, you’re the scientist, you’re Nicolas Cage trying to find all the answers and escape out of a situation. Meanwhile, surveillance cameras and microphones have been installed in each escape room so that facilitators, known as “escape artists,” have the ability to communicate with players inside each room. Teams can request clues from the escape artists assigned to each room. Young, who is working on a masters degree in management, is putting in long hours helping to get America’s Escape Game ready for business. On a recent afternoon, he was busy with phone calls, dealing with deliveries and looking for return labels — all with a rehabilitation boot on his left foot. That is a sore subject for Young, but it is also another reason he’s back in Gainesville rather than playing basketball this summer. After graduating from UF in 2014 following a stellar college career, the 6-foot-10 Young signed a free-agent contract with the NBA’s New Orleans Pelicans. After the Pelicans waived Young, he decided to give the EuroLeague a shot. He played six months in Istanbul before signing a contract with the Greek club Olympiacos B.C. Less than five months later, during a game against a Turkish club, Young suffered a devastating blow to his playing career. Despite the injury, Young persevered. Young eventually underwent surgery in Italy but got an infection in his knee. More surgeries followed. Then six weeks of antibiotics and an IVC filter in his neck to prevent a blood clot in his leg from traveling to his lungs or brain. Recovery was exhausting. Young did sign with Olimpia Milano of Italy last year, but was released in February without playing a game. Now his rehab continues in Gainesville with help from some of the medical folks from his college playing days. For now, Young can celebrate an off-court victory with the opening of Gainesville’s America’s Escape Game. 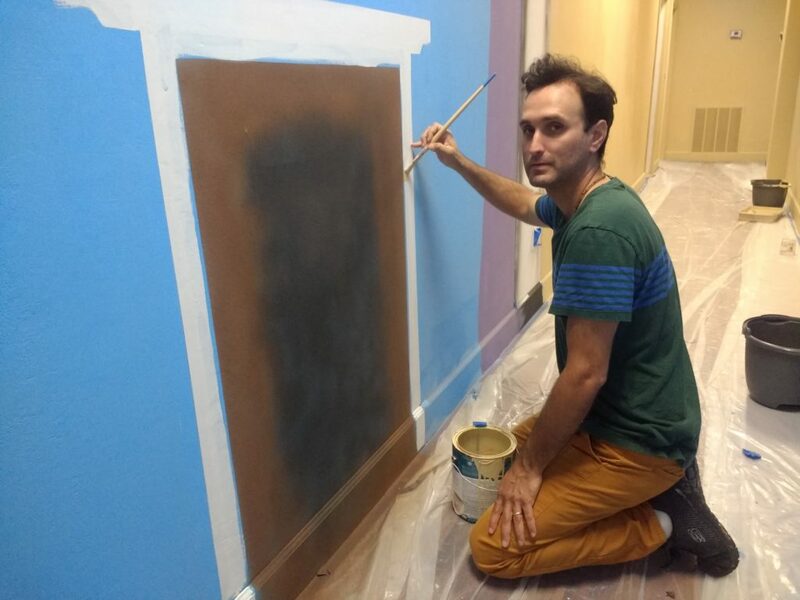 Young is also proud that his new business will include murals painted by five local artists through a collaboration with the Urban Revitalization Project. 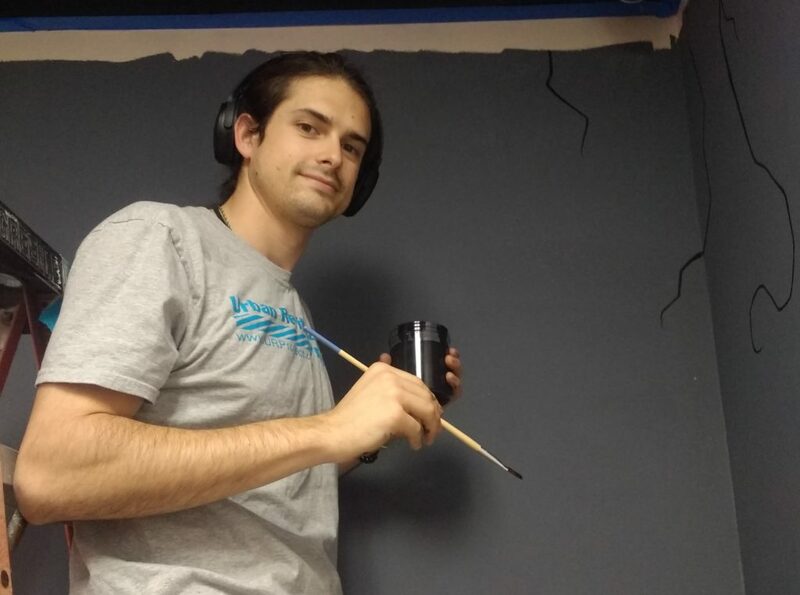 Guido Montenegro, Alex Venable, Monty Welt, Barry Graves and Daniel Vélez-Climent have all been contracted to paint various walls outside the escape rooms. The murals idea only came about only two weeks ago when Young and Gamble attended the Stop Children’s Cancer 30th annual Fantasy Ball at the Cade Museum. They were invited to sit at a table already occupied by Raquel Vallejo, the 352Walls project coordinator for the City of Gainesville’s Department of Parks, Recreation and Cultural Affairs. Young and Gamble were already familiar with the 352Walls and the Urban Revitalization Project through the artists’ murals appearing recently inside the Southwest Parking Garage, directly behind the America’s Escape Game building. They explained to Vallejo that they were looking for artists to paint walls inside their business. “They tell me, ‘We want murals. We want art stuff! '” Vallejo said. “We immediately put some of the artists on alert and it all came together. 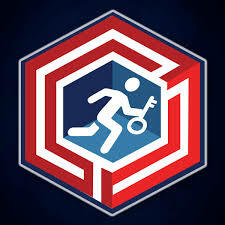 When it opens later this month, the Gainesville’s America’s Escape Game operating hours will be Tuesday through Thursday 1-10:30 p.m., Friday and Saturday noon until midnight and Sunday 1-10 p.m. Customers are encouraged to reserve their one-hour blocks online well in advance. Although the regular admission price will be $34.99 per person per room, Young said discount coupons and other offers will lower the cost. To find out the latest updates about the escape room, Young encourages people to visit the America’s Escape Game website and sign up for the newsletter.